Mirror, Mirror on the wall, tell us how to have a ball—with mirrors! It’s fun and easy to decorate with mirrors. They can have a big impact with minimal effort. Here are a few basic concepts and ideas to get you started. A large mirror can make a room. Lean one up against a wall and backlight it by arranging a spotlight on the floor. It will instantly add depth and drama to the room. 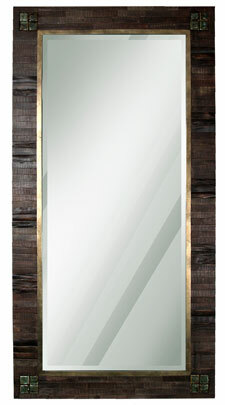 If your room feels tight, place a large mirror against a wall or build a mirror into a wall. It will enlarge the room, making it feel as though it’s doubled in size. With an open floor plan it can be difficult to define spaces. Placing a mirror behind a dining room table can help define your eating area. Alternatively, place one behind your sofa to designate a living room. 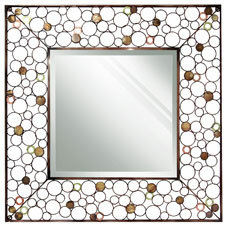 Entryways are an ideal place for mirrors. Practically, you may want to check your appearance before you leave the house. Additionally, entryways can be small and dim. A mirror can help enlarge the space. Adding a candle or decorative lighting will produce interest and warmth as the light reflects off the mirror. If you want to bring the outside in place a mirror on a wall across from a window. The mirror will reflect the window and produce a greenhouse effect. This is especially nice in the dining room to feel as though you’re eating alfresco in every season. Set the mood by using an inexpensive full-length mirror as a table centerpiece. Top it with candles and dim the lights for a romantic scene or with small vases of flowers to set a cheery tone. Mirrors can serve as art. When you’re out and about, keep an eye out for mirrors. Look for varying shapes, sizes, and frames. Combine new mirrors with vintage mirrors found at thrift shops. Create a gallery wall by grouping the mirrors together. Mirrors and candles are a perfect pair. In the summer, when it seems too hot for your fireplace, but you want to impart the same cozy ambience, lean a mirror against the back of the fireplace and fill it with candles.